Associate Editor, IEEE Transactions on Circuits and Systems —II: Express Briefs (2006–2007). Member of the Editorial Board of the Recent patents on Electrical Engineering. Invited Associate Editor of the IEEE Transactions of Power Electronics (TPEL) and Power Electronics Society, Special issue on "Power Supply on Chip", Guest co-editors: Cian Ó Mathúna, Yan-Fei Liu, December 2012. Invited co-editor, special issue of Analog Integrated Circuits and Signal Processing journal devoted to current-mode circuit techniques, Barrie Gilbert (Analog Devices Inc), Eduard Alarcón (UPC), Eva Vidal (UPC). Best Paper Award (Myril B. Reed award), 1998 IEEE Midwest Symposium on Circuits and Systems. International advisory board of IEEE PEDS2013, Biannual conference on power electronics and drive systems, Kitakyushu City, Japan in April 2013. Technical program co-chair, IEEE 4th Latin American Symposium on Circuits and Systems, LASCAS 2013, Cuzco, Peru. Special session co-organizer ““Analysis, Design and control of Power Electronic Circuits from a Nonlinear Circuit Theory Perspective”, NOLTA 2012 special session proposal (Mallorca, Spain), Oct 2012, (Eduard Alarcon UPC BarcelonaTech, Spain, Orla Feely, Univ. College Dublin, Ireland, Hiroo Sekiya, Chiba Univ., Japan, Abdelali el Aroudi, URV, Tarragona, Spain, Yuichi Tanji, Kagawa Univ., Japan. Technical Program Committee member, “Granular Power Management for SOCs”, Track co-chair -with E. Alon (UC Berkeley) B. Allard (INSA Lyon) and C. Sandner (Infineon)-, 3nd International Workshop on Power Supply On Chip, 2012, San Francisco, CA, Nov 16-18, 2012. IEEE ISCAS Steering committee, meeting in Seoul, May 2012. Track chair, IEEE 3rd Latin American Symposium on Circuits and Systems, LASCAS 2012, Brasil. Technical Program Committee member, IEEE Infocom 2011.
Review Committee member (RCM), Power Track, IEEE International Symposium on Circuits and Systems ISCAS 2012, Seoul, Korea. General co-chair, 1st and 2nd NaNoNetworking workshop, (with Ian F. Akyldiz, GeorgiaTech, US), 2010 and 2011. Expert reviewer, Agència de Gestió d’Ajuts Universitaris i de Recerca (AGAUR), Catalan Research Agency. Invited talk, “Energy harvesting: device, circuit and system co-design and on-chip integration”, University of Freiburg – IMTEK, Germany, March 2013. Invited talk, “On molecular communications nanoscale networks”, March 2013, Bogazici University, Istanbul, Turkey. Tutorial at the 2012 Asia Pacific Conference on Circuits and Systems (2012 APCCAS), "Energy harvesting: device, circuit and system co-design and on-chip integration”, Kaoshung, Taiwan, October 2012. Tutorial at the 2012 International Symposium on VLSI Design, Automation & Test (2012 VLSI-DAT), Hsinchu, Taiwan, April 2012. Invited lecture, “Energy-efficient on-chip power management: system, circuit and device perspectives”, IEEE Sweden Electron Devices Chapter, Friday February 4th, KTH, Stockholm, Sweden. Plenary lecture, “Quo Vadis on-chip power management", IEEE ICECS, Athens, Greece, Dec 2010. Invited lecture, “Energy-efficient on-chip power management: system, circuit and device perspectives” (IEEE distinguished lecturer program), IEEE CAS Santa Clara Valley Chapter, Cadence Design Systems, Santa Clara, Silicon Valley, CA, USA, 19th October 2009. Invited lecture, “Energy-efficient on-chip power management: system, circuit and device perspectives” (IEEE distinguished lecturer program), University of Putra Malaysia, Selangor, Malaysia, June 2009. Tutorial at IEEE ISCAS09, System/Circuit Co-Design of High-Density On-Chip Power Management Functions for Battery-Operated Terminals, Taipei International Convention Center, Taiwan, 23rd May 2009. Invited lecture, “Switching Converter Topologies and Control Methods for Wideband Efficient On-chip Power Management”, LEES Colloquium, MIT Department of Electrical Engineering and Computer Science, Massachusetts Institute of Technology (MIT), Cambridge, MA, USA, Nov 6th 2008. Invited lecture, “Energy-Processing Integrated circuits”, GT Analog, Power, & Energy IC Research lab, Georgia Tech, Atlanta, US, May 2007. Invited plenary lecture, “Power consumption management in portable applications”, ICED 2006, 2nd International conference on electronic design, Veracruz, Mexico, November 2006. Invited seminar, “On-chip integrated adaptive power management circuits for high-efficiency multistandard RF PA”, Samsung Advanced Institute of Technology, Seoul, South Korea, December 2005. Invited lecture, “On-chip power processing and control”, Analog VLSI lab, Ohio State University, Columbus, OH, USA, 25 November 2003. Invited lecture, “On-chip power processing and control”, Polytechnical University of Brooklyn, New York, USA, 20 November 2003. Invited seminar, “Energy-processing integrated circuits for wireless applications and systems-on-chip”, Universita degli studi di Ancona, Italy, June 2003. “CMOS Integrated Switching Power Converters: A Structured Design Approach”, Gerard Villar-Piqué (NXP Semiconductors, Netherlands), Eduard Alarcón, 1st Edition., 2011, XL, 313 p. 227 illus. Hardcover, ISBN 978-1-4419-8842-3. Springer 2011. “Voltage Regulators for Next Generation Microprocessors”, Toni López, Reinhold Elferich, Eduard Alarcón, 1st Edition., 2011, X, 490 p. 100 illus. Hardcover, ISBN 978-1-4419-7559-1 Springer 2011. “Data conversion Pulse-width modulators for switched-mode power converter digital control,” E. Alarcón, V. Yousefzadeh, A. Prodic and D. Maksimovic, an invited book chapter in Analog Circuit Design 2011, (Editors: M. Steyaert, A. van Roermund and A. Baschirotto), Springer Verlag 2011. “Wideband efficient amplifiers for on-chip adaptive power management applications”, Chapter authors L. Marco, V. Yousefzadeh, A. Garcia i Tormo, A. Poveda, D. Maksimovic and E. Alarcón. Springer. 2009, in H. Casier, M. Steyaert and A. H. M. Van Roermund. Analog Circuit Design: High-speed clock and data recovery, High-performance amplifiers, power management. Invited co-editor (with Dr. Eva Vidal and Dr. Barrie Gilbert –Analog Devices fellow-) of a special issue in Analog Integrated Circuits and Signal Processing journal, Kluwer Academic Publishers, devoted to 'Current-mode circuit techniques: More than a decade after their renaissance', March 2004. 'Application of sliding-mode control to the design of a buck-based sinusoidal generator', Domingo Biel, Enric Fossas, Francesc Guinjoan, Eduard Alarcón and Alberto Poveda, IEEE Transactions on Industrial Electronics, Vol. 48, No3, June 2001. 'Digitally programmable MOS resistive circuit', Eduard Alarcón, Herminio Martínez, Eva Vidal and Alberto Poveda, IEE Electronics Letters, 3rd January 2002, Vol. 38, No.1, pp 11-13. 'Current-mode analogue integrated circuit for sliding-mode control of switching power converterts', Eduard Alarcón, Alfonso Romero, Alberto Poveda, Sonia Porta and Luis Martínez-Salamero, IEE Electronics Letters, 3rd February 2002, Vol. 38, No.3. 'CCII-based analog integrated circuit for sliding-mode control of switching power converters', E. Alarcón, A. Romero, A. Poveda, S. Porta and L. Martínez-Salamero, Analog Integrated Circuits and Signal Processing, Kluwer Academic Press, Feb 2004. 'Up-to-Date Bibliography of Current-Mode Design', E. Vidal, E. Alarcón and B. Gilbert, Analog Integrated Circuits and Signal Processing, Kluwer Academic Press, Feb 2004. 'Extended mismatch and dynamic modelling of current sources in current-steering DACs : an improved design procedure', M. Albiol, J. L. González and E. Alarcón , IEEE Transactions on Circuits and Systems, special issue on Data Converters, January 2004, pp 159-169. 'CMOS Integrated circuit controllers for switching power converters', E. Alarcón, G. Villar and A. Poveda, Jubilee special issue on power electronics, Journal of Circuit, Systems and Computers, Volume 13, Number 4 August 2004, pp. 789-811. “Towards an on-chip boost switching power converter: a design space exploration”, G. Villar, E. Alarcón, F. Guinjoan, A. Poveda, HAIT journal of science and engineering, Special issue on power electronics, vol. 2, iss-3-4, pp. 386-397. Llatser, I., Pascual, I., Garralda, N., Cabellos-Aparicio, A., Pierobon, M., Alarcón, E. and Solé-Pareta, J., "N3Sim: A Simulation Framework for Diffusion-based Molecular Communication," IEEE TC on Simulation, No. 8, pp. 3-4, March 2011. “E. Sayrol, R. Bragós, E. Alarcón, M. Cabrera, A. Calveras, J. Comellas, J. O’Callaghan, J. Pegueroles, E. Pla, L. Prat, G. Sáez, J. Sardà, C. Tallón, “Mixed Integration of CDIO skills into Telecommunication Engineering Curricula”, Electronics and Electrical Engineering, Vol 6, pp 102, 2010. J. Rodriguez, M. Delgado-Restituto, J. Masuch, A. Rodriguez-Perez, E. Alarcón and A. Rodriguez-Vazquez, “An Ultra Low-Power Mixed-Signal Back-end for Passive Sensor UHF RFID Transponders”, IEEE Transactions on Industrial Electronics, Date of Publication: 23 junio 2011. Alireza Saberkari, Eduard Alarcón, Shahriar B. Shokouhi, “Fast Transient Current-Steering CMOS LDO Regulator Based on Current Feedback Amplifier”, the VLSI Journal on Integration, accepted August 2011. Toni Lopez and Eduard Alarcon, “Power MOSFET Technology Roadmap towards High Power Density Voltage Regulators for Next Generation Computer Processors”, accepted IEEE Transactions on Power Electronics, 2011. Daniel Fernández, Jordi Madrenas and Eduard Alarcón, “An Asynchronous Finite-State-Machine-based Buck-Boost Converter for On-Chip Adaptive Power Supply", Analog Integrated Circuits and Signal Processing, Springer Netherland, Oct 2012. “RF Performance Projections of Graphene FETs vs. Silicon MOSFETs”, S. Rodriguez, , S. Vaziri, M. Ostling, A. Rusu, E. Alarcon, M.C. Lemme, accepted ECS Solid State Letters, The Electrochemical Society Journals, April 2012. Llatser, I., Cabellos-Aparicio, A., Alarcon, E., Jornet, J. M. and Akyildiz, I. F., “Scalability of the Channel Capacity of Graphene-enabled Wireless Communications at the Nanoscale”, submitted for publication to IEEE Transcations on Nanotechnology, Oct 2011. Llatser, I., Pascual, I., Garralda, N., Cabellos-Aparicio, A., Pierobon, M., Alarcón, E. and Solé-Pareta, J., “Exploring the Physical Channel of Diffusion-based Molecular Communication by Simulation”, submitted for publication to NanoCommunication Elsevier, March 2011. Milad Razzaghpour, Ana Rusu, Saul Rodriguez, and Eduard Alarcon, “MICAO: Modified Imperialist Competitive Algorithm for Analog Circuit Optimization”, the VLSI journal on Integration, June 2012. Saberkari A, Shokouhi SB, Alarcón E, Baghersalimi G. Analysis and evaluation of using a tuning inductance on the performance of gilbert cell-based CMOS sub-harmonic mixer. Research Journal of Applied Sciences, Engineering and Technology 2012;4:486-490. Albert Garcia i Tormo, Alberto Poveda, Eduard Alarcón, and Francesc Guinjoan, “On Multi-Level PWM and Asynchronous Modulations for Enhanced Bandlimited Signal Tracking in Switching Power Amplifier”, accepted to IEEE Transactions on Circuits and Systems – part I, April 2012. Llatser, I., Cabellos-Aparicio, A., Alarcon, E., “Networking Challenges and Principles in Difussion-Based Molecular Communication”, accepted to IEEE Wireless Communications, Jun 2012. I. Llatser, A. Cabellos-Aparicio, M. Pierobon and E. Alarcón, “Detection Techniques for Diffusion-based Molecular Communication”, accepted to JSAC, Journal of Selected areas in Communications, Octo 2012. Llatser, C. Kremers, A. Cabellos-Aparicio, J. M. Jornet, E. Alarcón and D. N. Chigrin, “Graphene-based Nano-patch Antenna for Terahertz Radiation”, in Photonics and Nanostructures - Fundamentals and Applications, May 2012. I. F. Akyildiz, J. M. Jornet, I. Llatser, S. Abadal, A. Cabellos-Aparicio, E. Alarcón, J. Solé-Pareta, M. C. Lemme, M. Nemirovsky, D. N. Chigrin, U. Pfeiffer, “Graphene-enabled Wireless Communications”, submitted for publication proceedings of IEEE, Nov 2012. Llatser, I., Kremers, C., Chigrin, D. N., Jornet, J. M., Lemme, M., Cabellos-Aparicio, A., and Alarcón, E., "Radiation Characteristics of Tunable Graphennas in the Terahertz Band," to appear in Radioengineering Journal, 2012. Mark Bradley, Eduard Alarcon, Orla Feely, “Design-oriented analyisis of Quantization-Induced Limit Cycles in a Multiple-Sampled Digitally Controlled Buck Converter”, submitted to IEEE Transactions on Circuits and Systems – part I, Nov 2012. Raul Gomez Cid Fuentes, Josep Miquel Jornet, Ian F. Akyildiz and Eduard Alarcón, “A Receiver Architecture for Impulse-based Terahertz Communications in Nanonetworks”, submitted to IEEE Trans. Nanotechnology (Nov 2012). Raul Gomez Cid Fuentes, Herminio Martínez, Alberto Poveda and Eduard Alarcon, “Electronically Tunable Switch-Mode High-Efficiency Adaptive Band-Pass Filters for Energy Harvesting Applications”, submitted to International Journal on Circuit Theory and applications (Nov 2012). Gerard Villar-Piqué, Henk Jan Bergveld and Eduard Alarcón, “Survey and benchmark of Fully Integrated Switching Power Converters: Switched-Capacitor vs Inductive approach” submitted to IEEE Transactions on Power Electronics, 2012. Special Issue on Power Systems on Chip (PwrSoC). “DIRECT: A Model For Networks That Are Based On Discrete Entities To Encode Messages”, Deniz Demiray, Albert Cabellos-Aparicio, Eduard Alarcon, Turgay Altilar, ”, submitted for publication to NanoCommunication Elsevier, Janury 2013. Program period: Oct 2011 – Dec 2013. Project: Adaptive miniaturized energy management circuits for energy harvesting targeting wireless sensor networks (TEC2010-15765), Principal Investigator: Herminio Martínez (UPC), MCYT (Spanish Ministery of Science and Technology), Program period: July 2010 – July 2013, Investigators: 6, Funding 99 kEuros. Program period: Set 2009 – Set 2012. Program period: Jan 2008 – Dec 2010. Program period: Jan 2004 – Dec 2007. Program period: Jan 2001 – Dec 2004. Program period: Jan 2003 – Dec 2006. “Modelling, Analysis and Design of Circuits based on transconductors and current-feedback opamps", UPC (reference PR-9512. ), 1995-1997. EU FET flagship proposal, “Guardian Angels”, PI: prof. Adrian Ionescu (EPFL), total funding: 67 M$, UPC PI: E. Alarcón, UPC funding 250 k$, UPC groups (Eduard Alarcon, Antonio Rubio, Albert Cabellos), submitted Oct 2012. COST action, EU project for researcher mobility, “Nanocommunication Networks”, coord: Alexey Vinel, Tampere University of Technology, submitted Oct 2012. COST action, EU project for researcher mobility, “"Paneuropean Compact/SPICE Modeling Application Network", coord: JM Sallese, EPFL, submitted Oct 2012. ICT FET Open Call, FP7-ICT-2011-C , Challenging current thinking program, “IMAGINE: wIreless Multicore Architectures enabled by GrapheNE”, UPC-N3CAT (Eduard Alarcon), Barcelona Supercomputer (Mario Nemirovski), KTH (Max Lemme), Univ. Wuppertal (D. Chigrin), Microsoft Isreal (Avi Mendelso), submitted Sept 2012. PhD defense: June 18th 2010. Currenly Senior Research Scientist at Philips (Solid State Lightning group), Aachen, Germany. International stay during PhD thesis: ECE, University of Colorado atBoulder, CO, USA (2006, 2007 and 2008). PhD defense: February 20th 2011. Expected PhD defense Dec 2013. Expected PhD defense Dec 2014. Expected PhD defense Dec 2015. Eduard Barba, “System-level impact of Envelope Tracker Power Converter nonidealities in Polar Transmitters for next Generation Mobile Communication Standards: EDGE standard”, Supervisors: E. Alarcon / L. Marco, 2009. Jordi Marchan, “System-level impact of Envelope Tracker Power Converter nonidealities in Polar Transmitters for next Generation Mobile Communication Standards: WLAN standard”, Supervisors: E. Alarcon (UPC), 2009. Dr. Joan Miquel Albesa ,“Monitoring Switch-type sensors and powering autonomous sensors via inductive coupling”, UPC BarcelonaTech, Castelldefels, 2012. “Nyquist Rate Data Converters”, IEEE ICECS, Seville, Dec 2012. “Power Management Circuits”, IEEE ICECS, Seville, Dec 2012. “Sensors and Imagers”, IEEE ICECS, Seville, Dec 2012. “High Efficiency Transmitters”, URSI Radio National Symposium, Elche, Sept 2012. “Power Supplies for Wireless Transceivers”, Eduard Alarcon and Dragan Maksimovic, ECE-PEMC 2012, Sept 4th, Novi Sad, Serbia. “Power Electronic Circuits”, Eduard Alarcon and Marian Kazimierczuk (Wright State University, OH), 2011 IEEE International Symposium on Circuits and Systems, Rio de Janeiro, Brazil, May 2011. “Modeling & Control of Power Converter”, Eduard Alarcon and C. K. Michael Tse (Hong Kong Polytechnic University), 2011 IEEE International Symposium on Circuits and Systems, Rio de Janeiro, Brazil, May 2011. “DC/DC converters” (lecture session), Bernhard Wicht, (Texas Instruments, Germany) and Eduard Alarcon, European Solid-State Circuits Conference, ESSCIRC 2010, Seville, Spain, Set 2010. “Analog and mixed-signal IC design” (lecture session), José Luis Ausín (Unex) and Eduard Alarcon, DCIS 2009, Zaragoza. “Log-domain & Complex Analog Signal Processing”, Session Chair: Eduard Alarcon, IEEE International Symposium on Circuits and Systems 2006, Kos Island, Greece. “Integrated Power Electronics Circuits”, Session Chairs: Eduard Alarcon, Tadashi Suetsugu, IEEE International Symposium on Circuits and Systems 2005, Kobe Japan. “Error Calibration & Compensation of ADCs”, Session Chairs: Eduard Alarcon, Un-Ku Moon, IEEE International Symposium on Circuits and Systems 2005, Kobe Japan. “Low Voltage/Low Power Filters”, Session Chairs: Eduard Alarcon, Gaetano Palumbo, IEEE International Symposium on Circuits and Systems 2005, Kobe Japan. General conference co-chair, 11th International CDIO conference, Barcelona, Spain, 2014. Organizing Committee, 10th International CDIO conference, held at MIT and Harvard, Cambridge, Massachusetts, US, February 2013. Participation in the IEEE CAS Society Education and Outreach Technical Committee meeting, held in Seoul, Rio, Paris, Seattle. Program Committee member of the Interdisciplinary Engineering Design Education Conference in 2013, IEDEC 2013, Santa Clara, CA, USA, on March 4-5, 2013. Coacher of a student group (UPC and RTW Aachen) in the Idea-to-product (I2P) international competition, held in Austin, Texas, November 2008. Publication: Josep Miquel Jornet, Eduard Alarcón, Elisa Sayrol, “Electrical Engineering international Curricula”, UPC opencourseware. Conference publication: Ramón Bragós, Eduard Alarcón, Margarita Cabrera, Anna Calveras, Jaume Comellas, Joan O’Callaghan, Josep Pegueroles, Lluís Prat, Germán Saez, Joan Sardà, Elisa Sayrol, “Inserting soft skills in new curricula at ETSETB-UPC after the CDIO initiative”, TAEE 2010 conferece. Conference paper: Ramón Bragós, Eduard Alarcón, Margarita Cabrera, Anna Calveras, Jaume Comellas, Joan O’Callaghan, Josep Pegueroles, Lluís Prat, Germán Saez, Joan Sardà, Elisa Sayrol, “ Design of the “introduction to the engineering” subject into the new curricula at Telecom BCN”, CDIO annual conference, Montreal, June 2010. Invited conference paper, Eduard Alarcón, Ramón Bragós, Elisa Sayrol, “Learning to Conceive, Design, Implement and Operate Circuits and Systems”, Within special session “Innovations in Circuits, Signals, and Systems Education", organized by Joos Vandewalle (KUL, Leuven) and Babak Ayazifar (Univ. California Berkeley), IEEE ISCAS 2011, Rio de Janeiro, May 2011. Journal paper, “E. Sayrol, R. Bragós, E. Alarcón, M. Cabrera, A. Calveras, J. Comellas, J. O’Callaghan, J. Pegueroles, E. Pla, L. Prat, G. Sáez, J. Sardà, C. Tallón, “Mixed Integration of CDIO skills into Telecommunication Engineering Curricula”, Electronics and Electrical Engineering, Vol 6, pp 102, 2010. Enric Rodriguez, Abdelali El Aroudi, H. Martinez, A. Poveda, H. Iu, Eduard Alarcon, “Chaos Controller for Switching Regulators Aiming Enhanced Design-Space Towards Miniaturization”, 2012 International Symposium on Nonlinear Theory and its Applications, NOLTA 2012, Palma, Majorca, Spain from 22-26 October. Mark Bradley, Eduard Alarcon, Orla Feely, “Period Doubling Bifurcations in a Multiple-Sampled Digitally Controlled Buck Converter”, 2012 International Symposium on Nonlinear Theory and its Applications, NOLTA 2012, Palma, Majorca, Spain from 22-26 October. I. Llatser, C. Kremers, A. Cabellos-Aparicio, E. Alarcón and D. N. Chigrin, “Comparison of the Resonant Frequency in Graphene and Metallic Nano-antennas”, AIP Conference Proceedings, 2012., TACONA 2012, Germany. E. Bou and E. Alarcon, R. Sedwick (U. Maryland, US), “Effects of non-resonant interferent objects in Impedance Matched Systems”, at the special session “Circuit Aspects of Non-Radiative Wireless Power Transfer” (organizer Dr. Ki Young Kim Samsung Advanced Institute of Technology, Korea), PIERS Progress In Electromagnetics Research Symposium , Moscow, Russia, 19-23, August, 2012. Eduard Alarcon, Alberto Poveda, Dragan Maksimovic, “A design-oriented circuit/system co-optimization framework for envelope tracking RF transmitters “, URSI Radio National Symposium, Elche, Sept 2012. Rodriguez Miguel, Roberg Michael, Pack Riley, Fernandez Pablo, Popovic Zoya, Alarcon Eduard, Maksimovic Dragan, “Resonant pulse-shaping power supply for radar transmitters”, IEEE EPE-PEMC 2012, ECCE Europe, Novi Sad, Serbia. A. Saberkari and E. Alarcon, “'CMOS Fast Transient Low-Dropout Regulator'”, 20th Iranian Conference on Electrical Engineering (ICEE2012), Teheran, Iran. “A Receiver Architecture for Pulse-based Electromagnetic Nanonetworks in the Terahertz Band”, Raul Gomez Cid-Fuentes, Josep Miquel Jornet, Ian F. Akyildiz and Eduard Alarcon, Intl Conference on Communications, IEEE ICC 2012, Ottawa, Canada. “Quorum Sensing-enabled Amplification for Molecular Nanonetworks”, International Workshop on Molecular and Nanoscale Communications, co-located with Intl Conference on Communications, IEEE ICC 2012, Ottawa, Canada. “Analysis of Limit Cycles in a PI Digitally Controlled Buck Converter”, Mark Bradley, Eduard Alarcon and Orla Feely, submitted to 2012 IEEE International Symposium on Circuits and Systems, to be held in Seoul, Korea, May 2012. 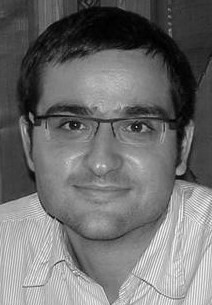 “Fast Transient Response CFA-Based LDO Regulator”, Alireza Saberkari, Eduard Alarcón, submitted to 2012 IEEE International Symposium on Circuits and Systems, to be held in Seoul, Korea, May 2012. “Electronically Tunable Switch-Mode High-Efficiency Band-Pass Filters for Energy Harvesting Applications”, Raul Gomez Cid-Fuentes, Herminio Martíınez, Alberto Poveda and Eduard Alarcón, submitted to 2012 IEEE International Symposium on Circuits and Systems, to be held in Seoul, Korea, May 2012. “Translayer optimized codesign of in-space laser-based wireless power transfer”, Elisenda Bou, Eduard Alarcon, Alvar Saenz-Otero, Christopher Mandy, submitted to 2012 IEEE International Symposium on Circuits and Systems, to be held in Seoul, Korea, May 2012. “Chaos controller for switching regulators aiming enhanced design-space towards miniaturization”, E. Rodrıguez, H. Martınez, H. H. C Iu, A. El Aroudi, and E. Alarcon, submitted to 2012 IEEE International Symposium on Circuits and Systems, to be held in Seoul, Korea, May 2012. “Ripple-based prediction of fast-scale instabilities in current mode controlled switching converters”, E. Rodrıguez, E. Alarcon and A. Poveda, El Aroudi, submitted to 2012 IEEE International Symposium on Circuits and Systems, to be held in Seoul, Korea, May 2012. “A Wideband Balun-LNA for Spin Torque Oscillator Technology”, T. Chen, S. Rodriguez, E. Alarcon, and A. Rusu, submitted to 2012 IEEE International Symposium on Circuits and Systems, to be held in Seoul, Korea, May 2012. I. Llatser, I. Pascual, N. Garralda, A. Cabellos-Aparicio, M. Pierobon, E. Alarcón and J. Solé-Pareta, “Exploring the Physical Channel of Diffusion-based Molecular Communication by Simulation”, Proc. of IEEE GLOBECOM, Houston (USA), December 2011. I. Llatser, A. Cabellos-Aparicio, E. Alarcón and J. M. Jornet, “Scalability of the Channel Capacity of Electromagnetic Nanonetworks”, in Second Nanonetworking Day, Barcelona, Spain, June 2010. Milad Razzaghpour, Saul Rodriguez-Duenas, Eduard Alarcon and Ana Rusu, “A Highly-Accurate Low-Power CMOS Potentiostat for Implantable Biosensors", 2011 IEEE Biomedical Circuits & Systems Conference , San Diego, California, November 10-12, 2011. S. Abadal, J. M. Jornet, I. Llatser, A. Cabellos-Aparicio, E. Alarcón and I. F. Akyildiz, “Wireless Nanosensor Networks using Graphene-based Nano-Antennas,” in GRAPHENE 2011, Bilbao (Spain), April 2011. I. Llatser, E. Alarcón and M. Pierobon, “Diffusion-based Channel Characterization in Molecular Nanonetworks”, proc. of the 1st IEEE International Workshop on Molecular and Nano Scale Communication (MoNaCom), held in conjunction with IEEE INFOCOM, Shanghai (China), April 2011. G. Villar, Julià Delós and Eduard Alarcón, "Bonding-Wire Triangular Spiral Inductor for on-Chip Switching Power Converters", the 2011 IEEE International Symposium on Circuits and Systems, Rio de Janeiro, Brazil from 15-18 May 2011. A. García-Tormo, Alberto Poveda, Eduard Alarcón and Francesc Guinjoan, "A Grounded-Output 5-Switch Bipolar Buck-Boost Converter Topology for Switching Power Amplifiers", 2011 IEEE International Symposium on Circuits and Systems, Rio de Janeiro, Brazil from 15-18 May 2011. Llatser, I., Alarcón, E., Pierobon, M., “Diffusion-based Channel Characterization in Molecular Nanonetworks”, in Proc. of the 1st IEEE International Workshop on Molecular and Nano Scale Communication (MoNaCom), held in conjunction with IEEE INFOCOM, April 2011. Garralda, N., Llatser, I., Cabellos-Aparicio, A., Pierobon, M., “Simulation-based Evaluation of the Diffusion-based Physical Channel in Molecular Nanonetworks”, in Proc. of the 1st IEEE International Workshop on Molecular and Nano Scale Communication (MoNaCom), held in conjunction with IEEE INFOCOM, April 2011. Llatser, I., Pascual, I., Garralda, N., Cabellos-Aparicio, A., Pierobon, M., Alarcón, E. and Solé-Pareta, J. “Exploring the Physical Channel of Diffusion-based Molecular Communication by Simulation”, to appear in Proc. of IEEE GLOBECOM 2011, Houston, USA, December 2011. J. Reina, E. Rodriguez, E. Alarcon and A. El Aroudi, “Ripple-based approach for predicting Fast-scale instability in multi-level converters”, IEEE COMPEL, Colorado Boulder, USA, July 2010. T. Lopez, E. Alarcon, “Hard-switching model for high-power-density voltage regulators”, IEEE COMPEL, Colorado Boulder, USA, July 2010. Albert Garcia i Tormo, Alberto Poveda, Eduard Alarcón, and Francesc Guinjoan, “Multi-Level Asynchronous Sigma-Delta Modulators for Wideband Switching Power Amplifiers”, IEEE COMPEL, Colorado Boulder, USA, July 2010. G. Villar, J. Delos and, E. Alarcon, “Bonding-wire triangular spiral inductor for on-chip switching power converters”, IEEE International Symposium on Circuits and Systems, 2010, ISCAS 2010. May 2019, Paris, France. Rodriguez, E.; Alarcon, E.; El Aroudi, A., “Unified prediction of slow and fast scale instabilities by means of complementary design-oriented models” Systems, Signals and Devices, 2009. SSD '09. 6th International Multi Conference on 23-26 March 2009, Tunisia. El Aroudi, A.; Alarcon, E.; Rodriguez, E.; Robert, B.G., “A qualitative comparison of bifurcations in single-cell and two-cell buck converter” Systems, Signals and Devices, 2009. SSD '09. 6th International Multi Conference on 23-26 March 2009, Tunisia. Power Electronics and Motion Control Conference, 2008. EPE-PEMC 2008. 13th, 1-3 Sept. 2008, Poland. Gerard Villar and Eduard Alarcon and Dragan Maksimovic, “Monolithic integration of a 3-level DCM-operated low-floating-capacitor buck converter for DC-DC step-down donversion in standard CMOS”, IEEE Power specialist conference PESC08, Rhodes, Greece, June 2008. Yousefzadeh, V.; Babazadeh, A.; Ramachandran, B.; Pao, L.; Maksimovic, D.; Alarcon,., “Proximate Time-Optimal Digital Control for DC-DC Converters”, Power Electronics Specialists Conference, 2007. PESC 2007. IEEE 17-21 June 2007. El Aroudi, A.; Alarcon, E.; Rodriguez, E.; Leyva, R.; Villar, G.; Guinjoan, F.; Poveda, A.; “Ripple Based Index for Predicting Fast-Scale Instability of DC-DC Converters in CCM and DCM”, Industrial Technology, 2006. ICIT 2006. IEEE International Conference on, India. Mark Norris, Lazaro Marco, Eduard Alarcon and Dragan Maksimovic, “Quantization Noise Shaping in Digital PWM Converters”, IEEE Power specialist conference PESC08, Rhodes, Greece, June 2008. L. Marco, A. Garcia i Tormo, F. Guinjoan, A. Poveda and E. Alarcón. “Sliding-mode controlled buck converter ripple and switching frequency design-oriented characterization,” in Proc. Seminario Anual de Automática, Electrónica Industrial e Instrumentación SAAEI 2007 (Puebla de Zaragoza, México), Sep 2007. Garcia i Tormo, E. Alarcón, A. Poveda and F. Guinjoan. “Low-OSR asynchronous Σ–∆ modulation high-order buck converter for efficient wideband switching amplification”, in Proc. IEEE International Symposium on Circuits and Systems ISCAS 2008, 18–21 May 2008, p. 4pp. Lopez, T.; Elferich, R.; Koper, N.; Alarcon, E., “Performance Comparison of Circuit Simulator Lumped Models for the Body Diode Reverse Recovery of Low Voltage Power Trench MOSFETs”,Power Electronics Specialists Conference, 2006. PESC '06. 37th IEEE 18-22 June 2006 Page(s):1 - 7. G. Villar, E. Alarcón, E. Vidal, H. Martínez and A. Poveda, 'Averaging circuits for switching power converters control: A CMOS current-mode integrated implementation', 2002 IEEE International Symposium on Circuits and Systems - ISCAS'02, Arizona, USA, May 2002. E. Alarcón, H. Martínez, E. Vidal, J. Madrenas and A. Poveda, 'High-frequency Microelectronic Controller for One-Cycle Control of Switching Power Converters', 6th European Space Power Conference 2001 (European Space Agency), Porto, Portugal, May 2001. E. Alarcón, H. Martínez, E. Vidal, J. Madrenas and A. Poveda, 'D-MRC: Digitally Programmable MOS Resistive Circuit', proceedings of the 44th IEEE Midwest Symposium on Circuits and Systems (MWSCAS01), Dayton, Ohio, USA, August 2001, pp. 215-218. E. Alarcón, G. Villar, E. Vidal, H. Martínez and A. Poveda, 'General-purpose one-cycle feedforward controller for switching power converters: A high-speed current-mode CMOS VLSI implementation', proceedings of the 44th IEEE Midwest Symposium on Circuits and Systems (MWSCAS01), Dayton, Ohio, USA, August 2001, pp. 290-293. H. Martínez, E. Vidal, E. Alarcón and A. Poveda, 'Design and implementatio of a MRC-C TQE continuous-time filter with on-chip automatic tuning', proceedings of the 44th IEEE Midwest Symposium on Circuits and Systems (MWSCAS01), Dayton, Ohio, USA, August 2001, pp. 196-199. S. Gomáriz, E. Alarcón, F. Guinjoan and A. Poveda, 'Analytical Considerations in the Design of a Nonlinear State-Dependent Takagi-Sugeno Fuzzy Controller for a Boost Switching Power Regulator', proceedings of the 9th IEEE Mediterranean Conference on Control and Automation - MCCA'01, Dubrovnik, Croatia, June 2001. J. L. González and E. Alarcón, 'Study of dI-Noise effects on the Spectral Performance of Current-Steering Segmented Digital-to-Analog Converters', proceedings of the 5th IEEE Workshop on Signal Propagation on Interconnects - SPI'01, Venice, Italy, May 2001. E. Alarcón, A. Poveda, E. Vidal and H. Martínez, 'Analog current-mode implementation of a one-cycle integrated controller for switching power converters', proceedings of the 2001 IEEE International Symposium on Circuits and Systems - ISCAS'01, Sydney, Australia, May 2001, pp. 496-499. E. Alarcón, A. Romero, A. Poveda, S. Porta and L. Martínez-Salamero, 'Sliding-mode control analog integrated circuit for switching DC-DC power converters', proceedings of the 2001 IEEE International Symposium on Circuits and Systems - ISCAS'01, Sydney, Australia, May 2001, pp. 500-503. J. L. González and E. Alarcón, 'Clock-jitter induced distortion in high-speed CMOS switched-current segmented digital-to-analog converters', proceedings of 2001 IEEE International Symposium on Circuits and Systems - ISCAS'01, Sydney, Australia, May 2001, pp. 512-515. S. Gomáriz, E. Alarcón, F. Guinjoan, E. Vidal-Iriarte and L. Martínez-Salamero, 'Piecewise PWM-sliding global control of a boost switching regulator by means of first-order Takagi-Sugeno fuzzy control', proceedings of the 2001 IEEE International Symposium on Circuits and Systems - ISCAS'01, Sydney, Australia, May 2001, pp. 715-718. S. Gomáriz, E. Alarcón, F. Guinjoan, E. Vidal-Iriarte and L. Martínez-Salamero, 'Two-rules-based boundary layer fuzzy controller for DC to DC switching regulators', proceedings of the 2001 IEEE International Symposium on Circuits and Systems - ISCAS'01, Sydney, Australia, May 2001, pp. 664, 667. J. Madrenas, E. Alarcón, J. Cosp, J. M. Moreno, A. Poveda and J. Cabestany, 'Mixed-Signal VLSI for Neural and Fuzzy Sequential Processors', proceedings of the 2000 IEEE International Symposium on Circuits and Systems - ISCAS'00, Genève, Switzerland, June 2000, pp. 389-392. E. Vidal, S. Porta, H. Martínez, E. Alarcón and A. Poveda, 'Complete Nonlinear Model of the MRC (MOS Resistive Circuit)', proceedings of the 2000 IEEE International Symposium on Circuits and Systems - ISCAS'00, Genève, Switzerland, June 2000, pp. 140-143. J. Madrenas, E. Alarcón, J. Cosp, J.M. Moreno, A. Poveda and J. Cabestany, 'Design Space tradeoff in VLSI implementations of Mixed-Signal Neuro-Fuzzy Processors', proceedings of the Fifth International Symposium on Artificial Life and Robotics - AROB'00, Oita, Japan, January 2000, pp. 821-824. E. Vidal, H. Martínez, E. Alarcón, and A. Poveda, 'Nonlinear Analyitcal model of the MRC (MOS resistive circuit)', proceedings of the 42nd IEEE Midwest Symposium on Circuits and Systems (MWSCAS99), Las Cruces, NMSU, New Mexico, USA, August 1999, pp. 1122-1125. E. Alarcón, D. Biel, F. Guinjoan, E. Fossas, E. Vidal and A. Poveda, 'Current-mode BiCMOS sliding-mode controller circuit for AC signal generation in switching power DC-DC converters', proceedings of the 42nd IEEE Midwest Symposium on Circuits and Systems (MWSCAS99), Las Cruces, NMSU, New Mexico, USA, August 1999, pp. 162-165. E. Alarcón, A. Poveda, J. Madrenas, E. Vidal, S. Gomáriz and F. Guinjoan, 'Novel Pulse-width-modulated Current-mode Defuzzifier for the fuzzy control o switching DC-DC converters', proceedings of the 42nd IEEE Midwest Symposium on Circuits and Systems (MWSCAS99) , Las Cruces, NMSU, New Mexico, USA, August 1999, pp. 444-447. E. Alarcón, J. Madrenas, J.M. Moreno, J. Cosp, S. Gomáriz, F. Guinjoan and A. Poveda, 'Mixed-signal implementation of a discrete-time sequential Takagi-Sugeno Neurofuzzy Controller', proceedings of the 6th International Conference Mixed-Signal Design of Integrated Circuits and Systems (MIXDES'99), Kraków (Poland), June1999, pp. 389-394. E. Vidal, A. Poveda and E. Alarcón, 'Amplitude Control in a Triangular Wave Quadrature Oscillator', proceedings of the 41st IEEE Midwest Symposium on Circuits and Systems (MWSCAS98), Univ. Notre-Dame, Indiana, August 1998, pp. 348-351. J. Madrenas, A. Ivorra, E. Alarcón and J.M. Moreno, 'Injector Design for Optimized Tunelling in Standard CMOS Floating-Gate Analog Memories', proceedings of the 41st IEEE Midwest Symposium on Circuits and Systems (MWSCAS98), Univ. Notre-Dame, Indiana, August 1998, pp. 426-429. S. Gomáriz, E. Alarcón, J.A. Martínez, A. Poveda, J. Madrenas and F. Guinjoan, 'Minimum-time Control of a Buck Converter by means of fuzzy logic approximation', proceedings of the 24th Annual Conference of the IEEE Industrial Electronics Society (IECON'98), Aachen, August 98, pp. 1060-1065. Romero, L. Martínez-Salamero, H. Valderrama, O. Pallás and E. Alarcón, 'General Purpose Sliding-Mode Controller for Bidirectional Switching Converters', proceedings of the 1998 IEEE International Symposium on Circuits and Systems (ISCAS98), Monterey, California, May-June1998. E. Alarcón, A. Poveda, E. Vidal, A. Romero and J. Hernanz, 'Integrated Current-programmed controller for DC-DC converters using current-mode analogue signal processing techniques', proceedings of the 5th European Space Power Conference 1998 (European Space Agency), Tarragona, September 1998, pp. 143-148. J.M. Moreno, J.Madrenas, E. Alarcón, J.Cabestany, 'Analog Sequential Architecture for Neuro-Fuzzy Models VLSI Implementation', proceedings of the 7th International Conference.on Artificial Neural Networks (ICANN97), Laussane, Switzerland, 8-10 October 97, pp. 1199-1204. E. Vidal, A. Poveda and E. Alarcón, 'Analysis and Design of Active-R Oscillators Using the Current-Feedback Opamp', proceedings of the IEEE/ECS European Conference on Circuit Theory and Design (ECCTD'97), Budapest, Hungria, Agost 97, pp. 200-203. E. Alarcón, A. Poveda and E. Vidal, 'High-Frequency Response Modelling of Continuous-Time Current Mirrors', proceedings of the IEEE/ECS European Conference on Circuit Theory and Design (ECCTD'97), Budapest, Hungria, Agost 97, pp. 204-209. E. Alarcón, A. Poveda, E. Vidal, 'A Complete OTA Frequency Model', proceedings of the IEEE 39th Midwest Symposium On Circuits and Systems, August 18-21, Ames, Iowa, 1996, pp. 455-458. J. Brezmes, J. Martí, E. Vidal, E. Alarcón, 'Measurement of Acoustic Parameters by Means of Pseudorandom Signals', proceedings of the IEEE 39th Midwest Symposium On Circuits and Systems, August 18-21, Ames, Iowa, 1996, pp. 817-820. E. Alarcón, A. Frigola, E. Vidal and A. Poveda, 'A New CFA Frequency Model Including Load-Dependent Unstabilities', proceedings of the IEEE 39th Midwest Symposium On Circuits and Systems, August 18-21, Ames, Iowa, 1996, pp. 451-454. E. Vidal, A. Poveda and E. Alarcón, 'Amplitude Stabilization in a Triangular Wave Quadrature Oscillator', proceedings of the IEEE 39th Midwest Symposium On Circuits and Systems, August 18-21, Ames, Iowa, 1996, pp. 1083-1086. G. Villar, E. Alarcón, F. Guinjoan and A. Poveda, 'Microelectronic integration of switching power converters: A design space exploration', SAAEI'02, Universidad de Alcalá, Sept. 2002. G. Villar, E. Alarcón, E. Vidal, H. Martínez and A. Poveda, 'Circuito promediador para control de convertidores conmutados de potencia: Implementación integrada CMOS en modo de corriente', SAAEI'02, Universidad de Alcalá, Sept. 2002. S. Gomáriz, E. Alarcón, E. Vidal-Idiarte, F. Guinjoan and L. Martínez-Salamero, 'Ecualización de dinámicas de un convertidor PWM elevador mediante un controlador de estado difuso TSK de primer orden, SAAEI'02, Universidad de Alcalá, Sept. 2002. H. Martínez, E. Vidal, E. Alarcón y A. Poveda, 'Diseño e implementación de un filtro TQE MRC-C con sintonía aumoática on-chip', actas del SAAEI'01, Universidad de Matanzas, CUBA, Sept. 2001. H. Martínez, E. Vidal, E. Alarcón y A. Poveda, 'Desfasador sintonizable CMOS para aplicaciones de sintonía automática', actas del SAAEI'01, Universidad de Matanzas, CUBA, Sept. 2001. S. Gomáriz, E. Alarcón, F. Guinjoan, E. Vidal y L. Martínez Salamero, 'Control zonal de un convertidor conmutado elevador mediante un control borroso TSK de primer orden', actas del SAAEI'01, Universidad de Matanzas, CUBA, Sept. 2001. E. Alarcón, H. Martínez, E. Vidal y A. Poveda, 'Diseño Microelectrónico de un Controlador de Un Ciclo para Convertidores Conmutados DC-DC mediante Procesado Analógico en Modo Corriente', actas del SAAEI'00, Terrassa, SPAIN, Sept. 2000, pp. 425-428. J. Madrenas, E. Alarcón, J. Cosp, J. M. Moreno, A. Poveda and J. Cabestany, 'VLSI Design Constraints for Neural and Fuzzy Mixed-Signal Sequential Processors', proceedings of the XIIII Conference Design of Integrated Circuits and Systems 1999 (DCIS99), P. Mallorca, November 1999, pp. 801-806. E. Alarcón, D. Biel, F. Guinjoan y A. Poveda, 'Controlador "Sliding" BiCMOS en modo corriente para la generación de señal sinuoidal en convertidores conmutados DC-DC', actas del SAAEI'99, Madrid, SPAIN, Sept. 1999, pp. 383-386. J. Madrenas, E. Alarcón, J. M. Moreno and J. Cosp, 'A Current-Mode Sequential CMOS A/D Variable-Structure Processor for Neural Network Emulation', proceedings of the XIII Conference Design of Integrated Circuits and Systems 1998 (DCIS98), Madrid, November 1998, pp. 536-541. Romero, E. Alarcón, H. Valderrama, S. Porta, A. Poveda and L. Martínez-Salamero, 'General Purpose Sliding-Mode Controller For Bidirectional Switching Power Converters Using CMOS Current-Mode Analogue VLSI Design', proceedings of the XIII Conference Design of Integrated Circuits and Systems 1998 (DCIS98), Madrid, November 1998, pp. 510-515. E. Alarcón, M.Iannazzo, F. Guinjoan y A. Poveda, 'Modulador PWM VLSI para división de señales analógicas. Aplicación al control fuzzy de convertidores continua-continua', actas del SAAEI'98, Navarra, Sept. 1998, pp. 441-444. M.Suquet, J.Madrenas, J.M. Moreno and E.Alarcón, 'Design Considerations of Regulated-Cascode Current Copiers', proceedings of the XII Conference Design of Integrated Circuits and Systems (DCIS'97), Sevilla, November 1997, pp. 59-64. E. Alarcón, M. Iannazzo and J.Madrenas, 'Noise and Speed Performance in Switched-Current Memory Cells', proceedings of the XII Conference Design of Integrated Circuits and Systems (DCIS'97), Sevilla, November 1997, pp. 241-246. E. Vidal, E.Alarcón y A. Poveda, 'Osciladores Activos-R en Modo Corriente', actas del Seminario Anual de Automàtica, Electrònica Industrial e Instrumentación (SAAEI'97), Valencia, Setembre 97, pp. 741-744. E.Alarcón, E. Vidal, C. Pol y A. Poveda, 'Red en Celosía Pasiva No Lineal para Caracterización de Amplificadores Operacionales', actas del Seminario Anual de Automàtica, Electrònica Industrial e Instrumentación (SAAEI'97), Valencia, Setembre 97, pp. 736-740. E. Alarcón, E. Vidal, A. Frigola, A. Poveda, 'Modelo Frecuencial del Current Feedback Amplifier (CFOA) con Predición de la Inestabilidad debida a la Impedancia de Carga', proceedings of the XI Conference Design of Integrated Circuits and Systems (DCIS'96), Sitges (Barcelona), November 1996, pp. 654-657. E. Alarcón, 'Modelación de Dispositivos Integrados con Operación en Modo Corriente. Aplicación al Análisis y Diseño de Nuevos Circuitos Integrados Analógicos para Comunicaciones y Control', II Jornadas de Doctorado del DEE-UPC, 20 Mayo 96, pp. 111-112. E. Alarcón, A. Poveda, 'Macromodelo para Simulación de Amplificadores Operacionales de Transconductancia (OTAs)', SAAEI'95, 25-27 Septiembre 1995, Universitat Rovira i Virgili,Tarragona, pp 209-212.